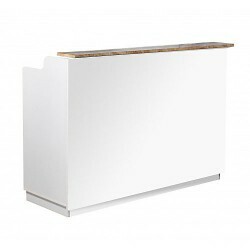 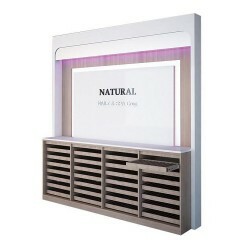 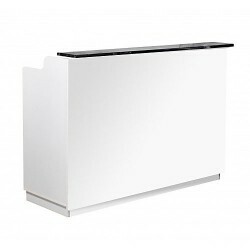 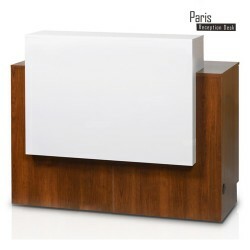 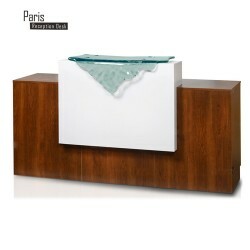 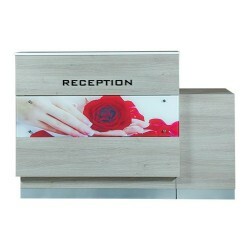 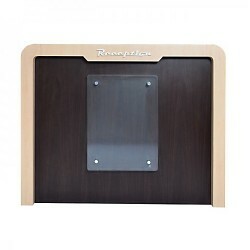 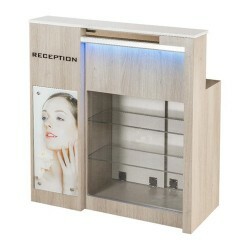 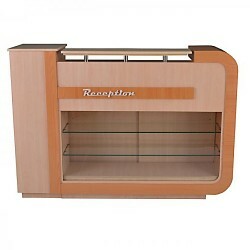 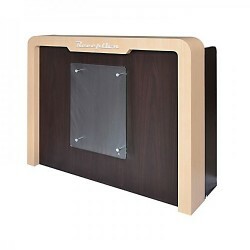 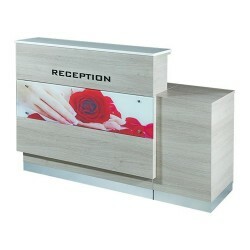 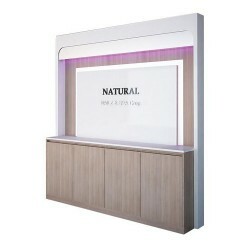 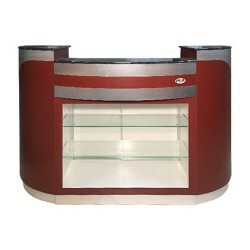 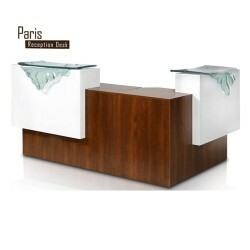 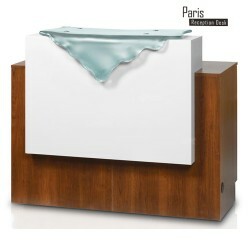 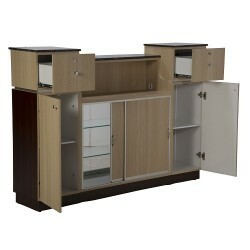 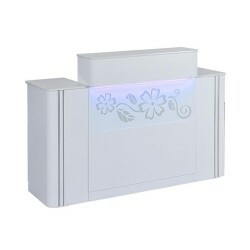 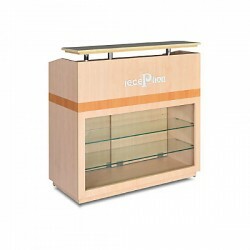 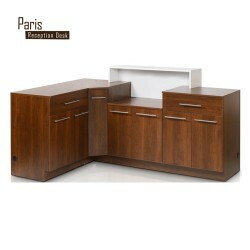 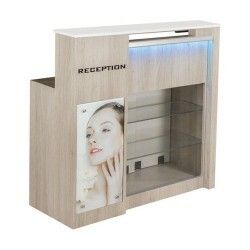 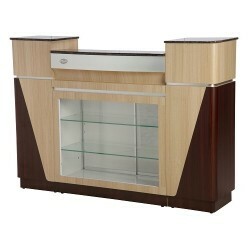 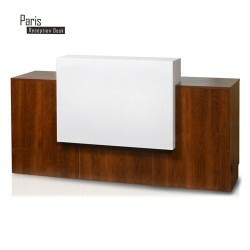 Paris L Shaped Reception Desk Expand your reception area with this gorgeous L-Shaped reception desk. 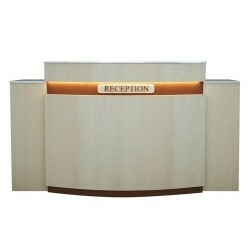 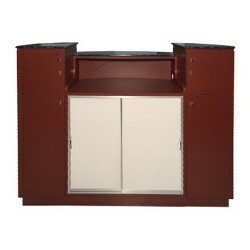 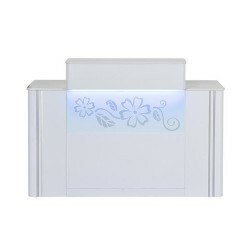 Paris L-Shape reception desk’s features enhance your reception area. 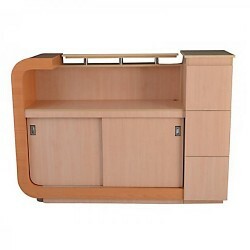 Three rich wood choices, beautiful glass colors, 2 sections of glass (plus second white accent), and open door storage compartments create a beautiful and functional reception desk.